We hiked yesterday in the Ojai backcountry. 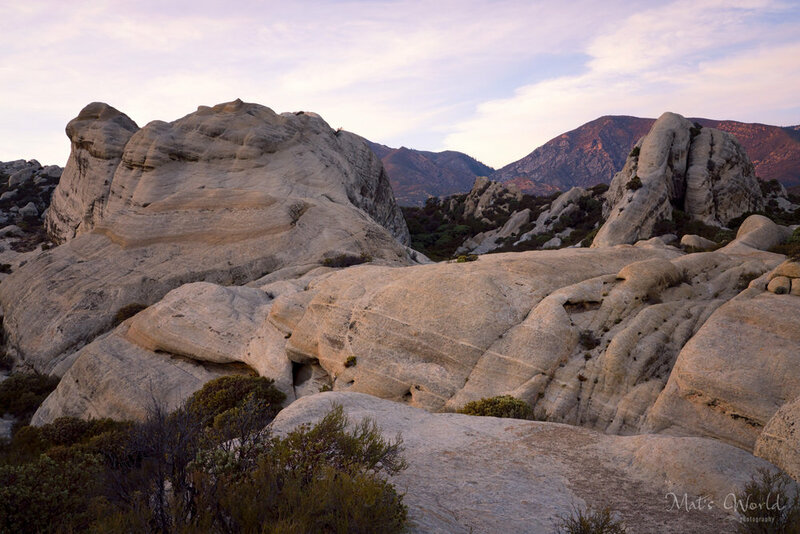 The Piedra Blanca rock formations, at the start of the hike are quite impressive and the backcountry looked great at sunset. The photos below show a little part of the spectacular scenery.